Writing History Seminar – Discussing the pleasures and challenges of writing history for a wider public. 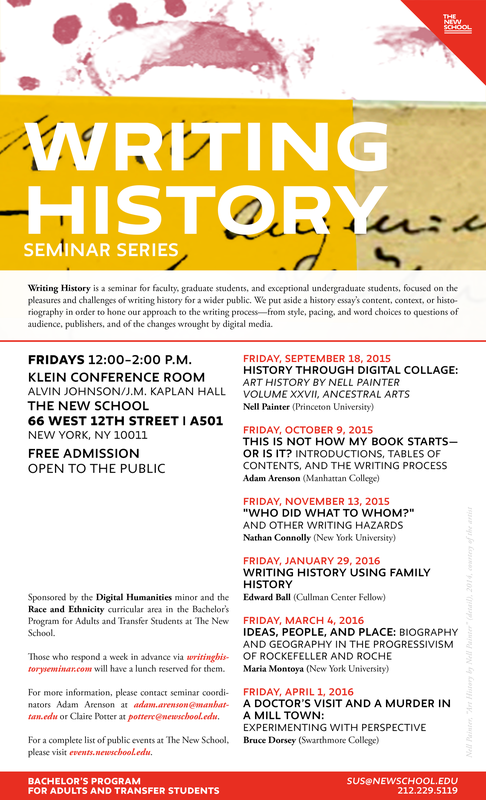 Writing History is a seminar for faculty, graduate students, and exceptional undergraduate students, focused on the pleasures and challenges of writing history for a wider public. We put aside a history essay’s content, context, or historiography in order to hone our approach to the writing process—from style, pacing, and word choices to questions of audience, publishers, and of the changes wrought by digital media. Let us know that you are interested in coming and receiving the pre-circulated readings on this form. We will write to confirm about a week before the session. (follow signs to the exact room).